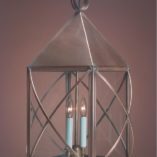 Hammerworks Cape Cod Copper Post Lanterns – Pyramid PP119 are completely handcrafted of solid antique copper or antique brass. 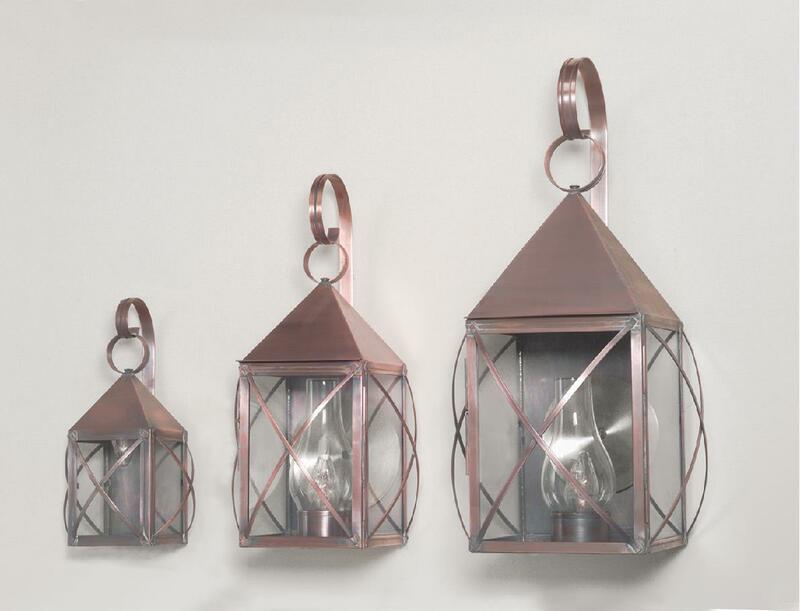 Each Cape Cod copper post light is meticulously handmade with attention to detail and historical accuracy. 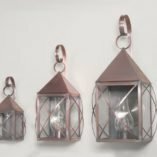 This process recalls the days when early craftsmen took pride in their work, knowing that each lantern they produced would be a testament to their community for years to come. 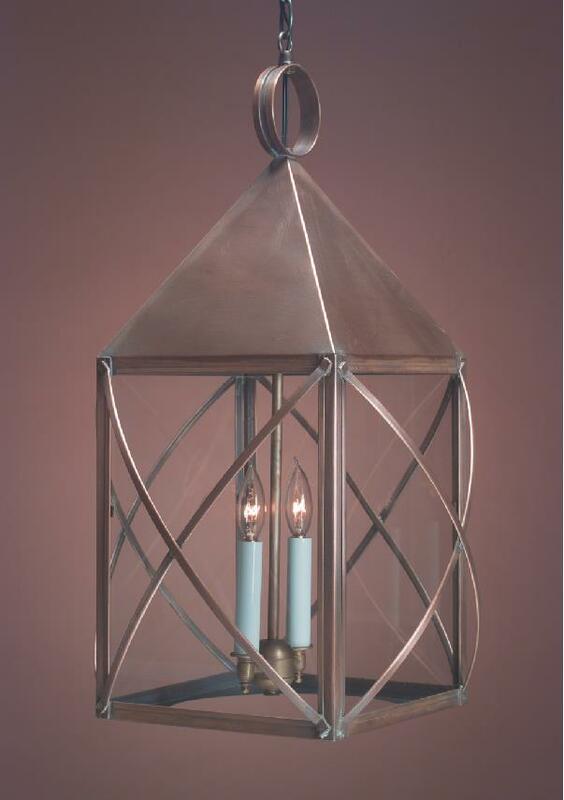 When choosing size and quantity of post lanterns, there are several factors to consider. 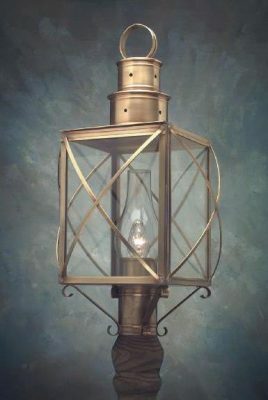 It is important not to shy away from size, as the light may appear undersized if not scaled properly to the setting. The distance from the post light to the building, as well as the building size itself should determine which size post light is appropriate. 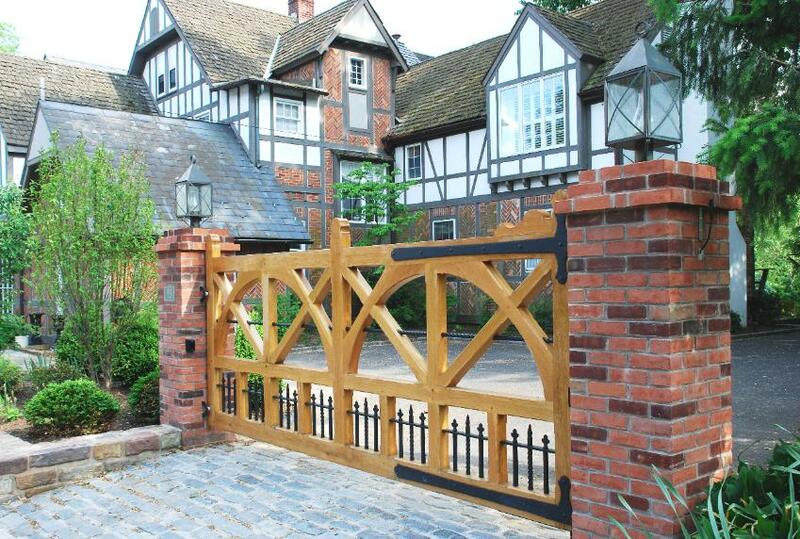 On a long driveway, multiple post lanterns may be necessary, to achieve proper illumination as well as aesthetic value.